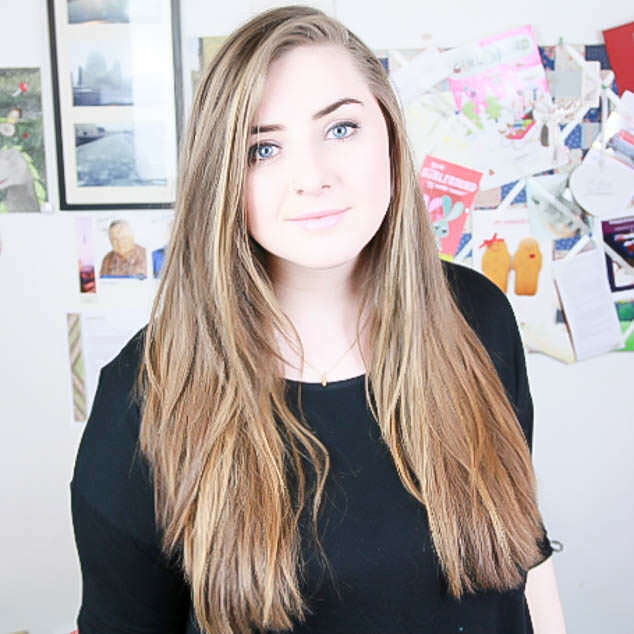 I have extremely thick, long and often frizzy hair. 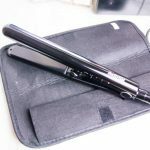 I can be quite fussy about the straighteners that I use, never really moving away from my wide paddled GHD’s but recently I have been using the Babyliss Diamond straighteners and have been pleasantly surprised. 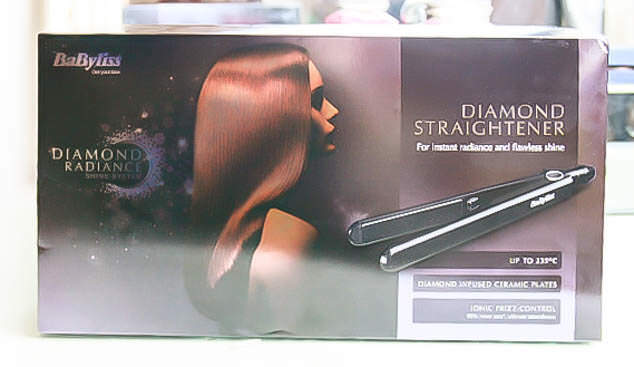 The Diamond Radiance Shine System uses the same diamond infused ceramic plates technology as the Nicky Clarke Diamond Shine Pro Salon straighteners that I reviewed earlier this year. The diamond infused plates do straighten my hair extremely quickly and really reduce the frizz. The Babyliss Diamond straighteners heat up very quickly, around £15 and reach up to 235ºC. I used them on the hottest setting although there are two lower settings, 180⁰C and 200⁰C, if you hair is more easily tamed than mine. Although the plates are thinner than the straighteners I usually use they are very long so I could do quite large sections of hair at a time. There are some features of the product that I love such as a long chord that can swivel as well as an automatic shut off. The straighteners also have a heat ready light, 5 year guarantee and universal voltage. I really like the heat wrap mat that comes with the straighteners and the pretty sparkly black packaging that is slightly curved so makes it quite good for curling hair too. Some features that I wish were different or think are missing are firstly the lack of a locking system, I like to be able to lock my straighteners when I’m done or if I’m traveling. The straighteners also make a noise when on, fairly quiet but a repetitive clicking. Other than that I am incredibly impressed with them, I have seen them on websites as low as £40 and for that price they are a fantastic pair of straighteners. 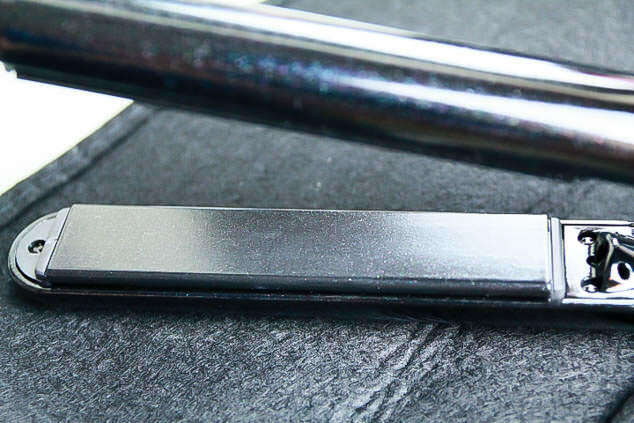 The BaByliss Diamond Straighteners were originally £80 but are hugely discounted and on sale in different places and are available at – Feel Unique, Debenhams, Superdrug, Look Again, Selfridges and Isme.